In order for hair to have that beautiful vibrant shine we all love, it needs to reflect light. Color glossing is a technique that will help you do exactly that. It smoothly and evenly covers the core of your hair strands in a sealed layer. The hair then reflects light like a mirror, giving you the vibrancy and shine you’ve been looking for! 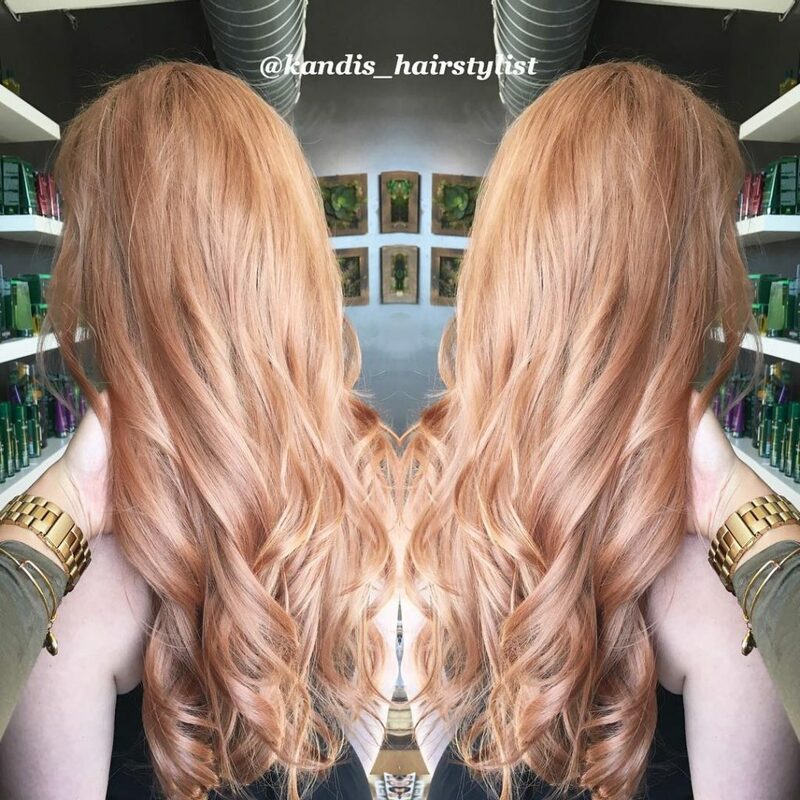 If you love coloring or highlighting your hair, gloss treatments can give you an added boost of vibrancy between colors. 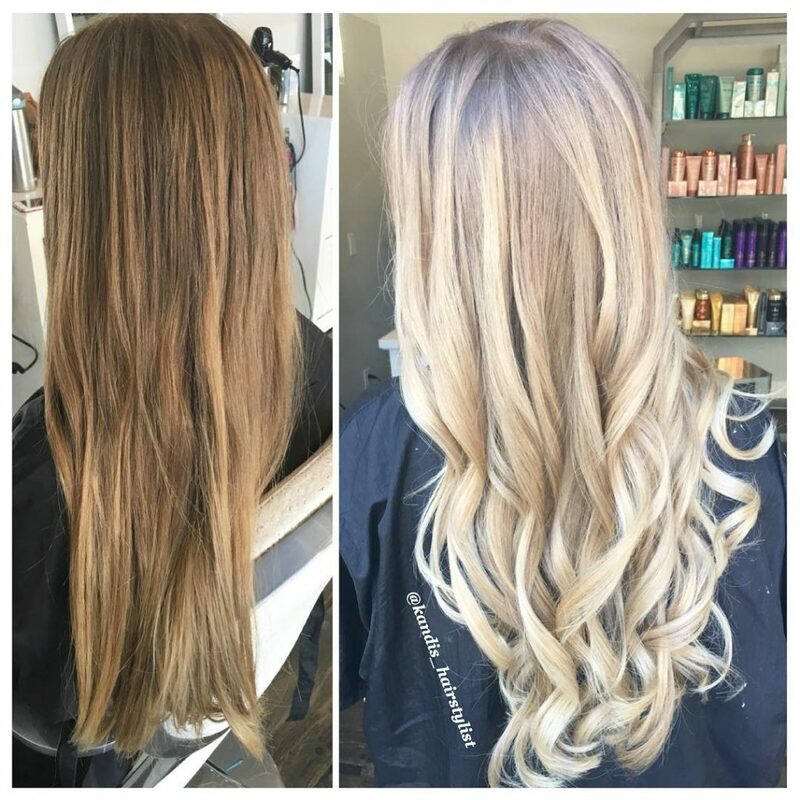 Blondes can be especially prone to flyaways and damaged hair strands, but gloss treatments are perfect to help smooth your cuticles and strengthen your lovely locks. 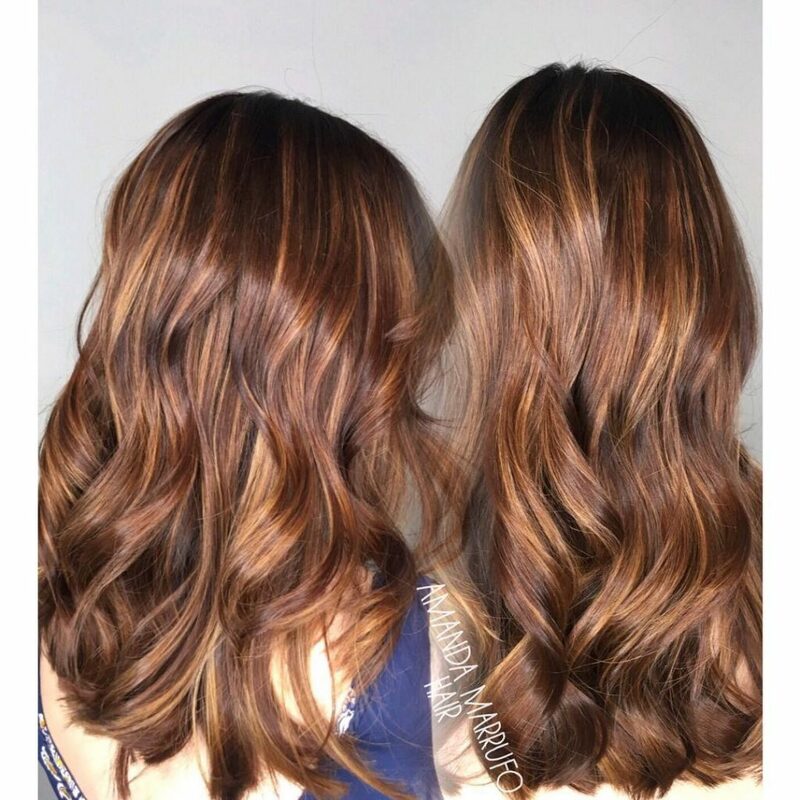 Gloss treatments are great for conditioning and adding moisture back into your hair, so if your locks are parched and lack luster, ask your stylist about their gloss options to bring back life and shine to your hair. Reason #3. Glossing Eliminates Unwanted Tones and Highlights! Bringing in a gloss to your normal hair care regimen will help tone undesired warmth while adding softness. It will also aid in blending highlights, which keeps hard lines of demarcation out of the picture. Brassiness happens. Especially in sunny San Diego where ocean water, sun exposure and even the H2O in your shower are always ready to cause your color to fade. Modern Bohemian Lifestyle’s Christine Kobzeff gives a great explanation of why brassiness can be so tough to avoid, by taking a look at our hair at the molecular level. She says, “Your hair color is a combination of molecules, when balanced they work in perfect harmony to create a beautifully toned head of hair. However, as color fades, an imbalance of color molecules are left in the hair’s cortex. Ash or violet-blue molecules are lifted exposing the underlying pigment. Those warm tones are your underlying pigment shining through. Glosses come in all shapes and sizes. 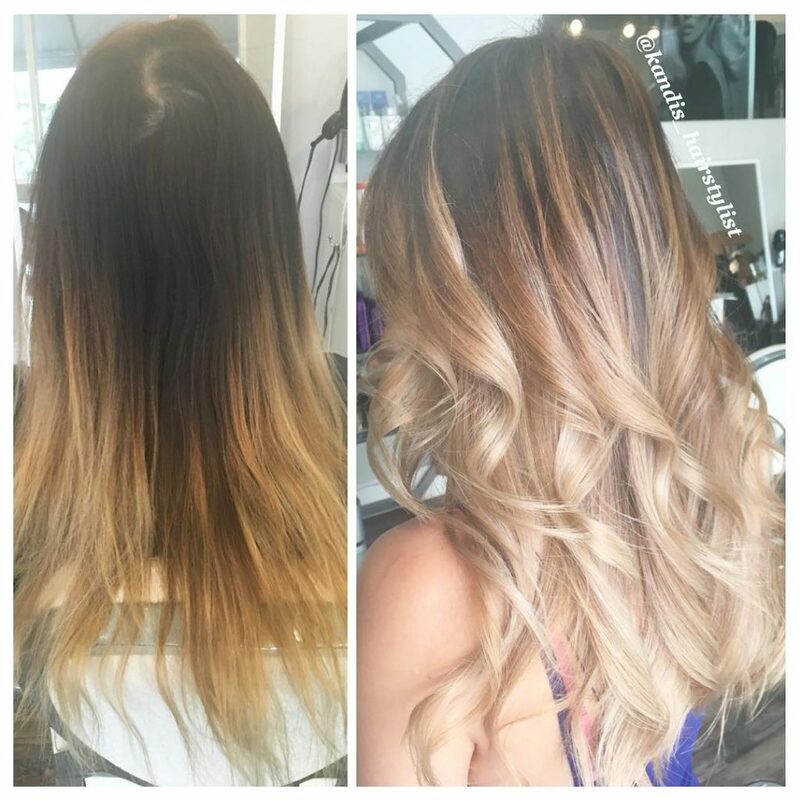 Depending on what color your stylist is trying to achieve, they might use demi-permanent or semi-permanent color. Which is great because ammonia is not added to demis or semis. That being said, these types of colors usually wash out within 2 weeks. Taking care of your gloss treatment by using the right shampoos and conditioners will definitely help maintain and keep the color gloss in your hair as long as possible. 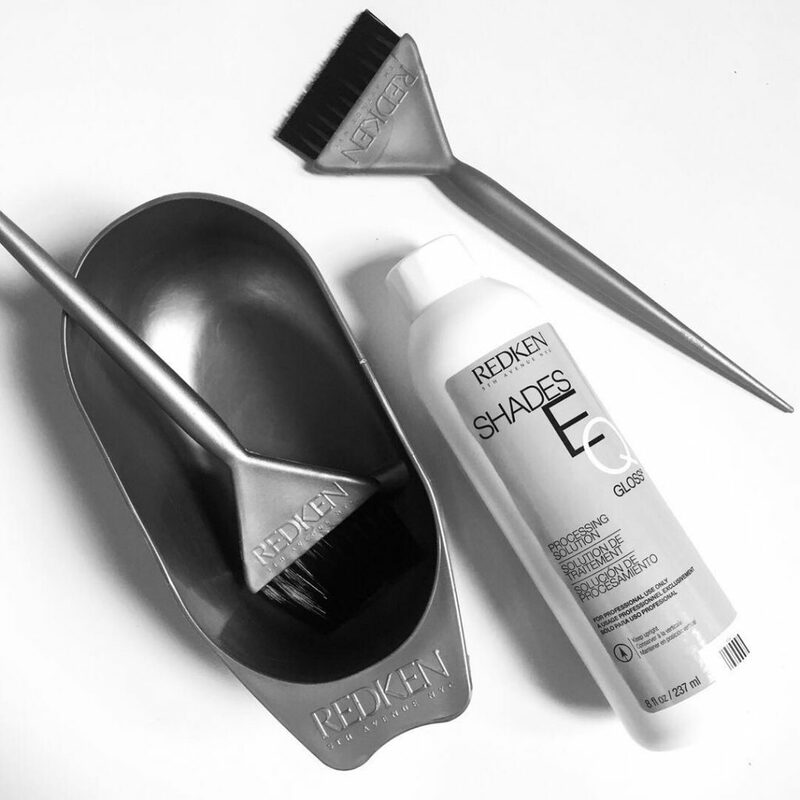 It’s a package deal when it comes to coloring or highlighting your hair. To make your gloss treatment last longer at home, invest in Kérastase reflection line or check out any of Kérastase’s collection lines. The best part about Kérastase is all of their hair care systems are for color treated hair! When Is The Best Time To Apply A Gloss? The best time to apply a gloss is anytime! When your hair feels dull and needs that extra shine. After a base color or highlight. Whenever. It’s never a bad time to ask for a gloss treatment. Using a gloss with your color service will help nourish your hair back to health and keep it vibrant and perfectly toned. Glosses really are a girl’s best friend in the fight to keep hair strong and healthy. The benefits of glossing treatments are countless, but we shared a few with you here today. There are so many more reasons we love color glossing and once you’ve tried it you will, too!